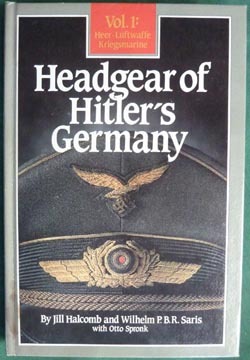 Headgear of Hitler's Germany, Vol. 1: Heer, Kriegsmarine, Luftwaffe - by Jill Halcomb, Wilhelm P. B. R. Saris, Otto Spronk. Bender Publication - 350 pages - pristine condition - great Reference Book.